Uncommon™ Christmas Tree Kits | Flagpoles Etc. Think that telescoping flagpoles are only for flags? Think again! With Uncommon TM Christmas Tree Light Kits, you can transform your telescoping flagpole into a stunning, brightly lit Christmas tree display. 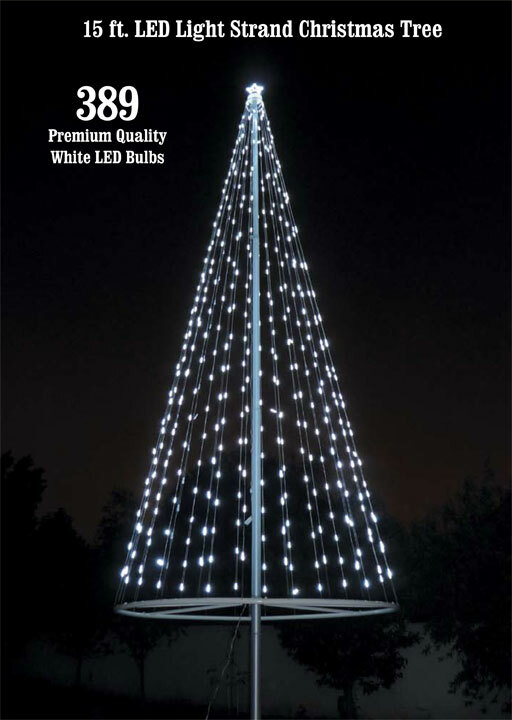 These remarkable LED light kits have 100,000 hours of use, so there’s no need to worry about the bothersome task of replacing lights all the time, Whether you choose white lights or multicolor lights, Uncommon TM Christmas Tree Light Kits are certain to make your Christmas decorations breathtaking. Designed specifically to be used with your telescoping flagpole. This addition to your flagpole around christmas time is absolutly perfect for those who are trying to show their holiday spirit as well as light up their flagpole to honor their country. These Light Kits lay nicely on your flagpole giving anyone who drives by a unique, beautifully lit up flagpole. 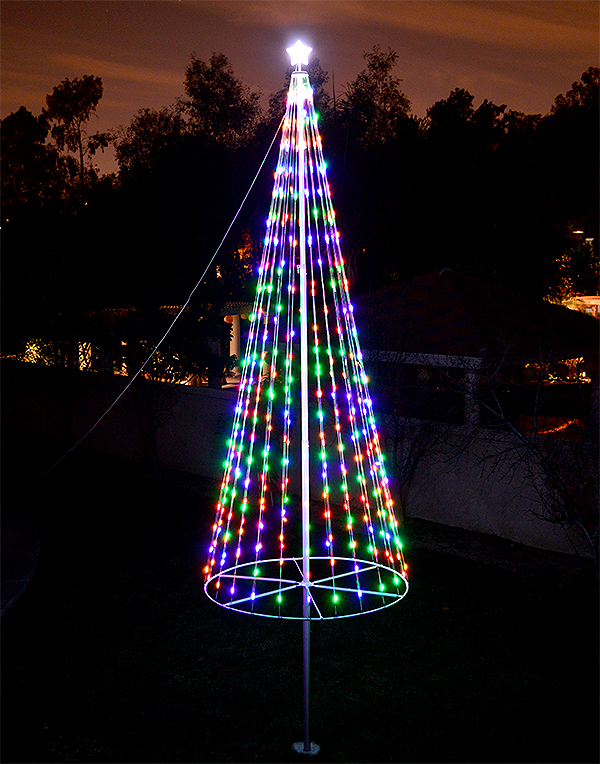 You can make it personalized to look like the christmas tree flagpole YOU want by picking either white lights or multicolored lights. what do you think?